We make caps, ferrules and shells. We manufacture ferrules as per the customers drawing. We are well aware that this part is crimped and should not crack while crimping. Hence we carry out extensive heat treatments to the ferrules to get the desired results. For high volumes we process ferrules through cold forming-(in which metal is formed under high speed and high pressure)& then through machining route. For low volumes we make it out of Barroute. Its internal profile is very important;hence to check the internal profile we have a Mitutoyo madecontracer. This helps in high-accuracy measurement, which in turn helps us in getting the correct results of its angles, radius, depth etc. 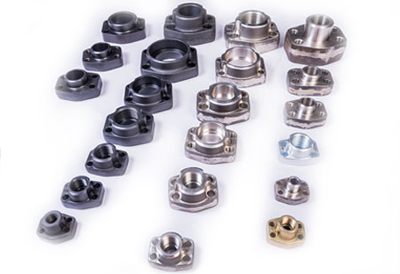 We offer leak free solutions when it comes to Hydraulic fittings. 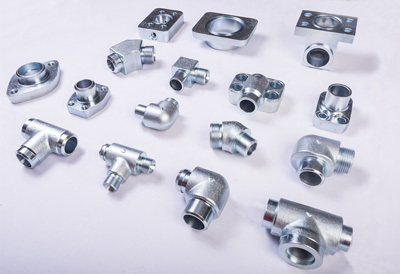 We also make non-standard Hydraulic fittings via hotforging-(in which the temperature is raised above the recrystallization point of the metal which prevents the metals strain hardening during deformation)and then through machining route. However volume should be enough to take care of the die cost recovery. 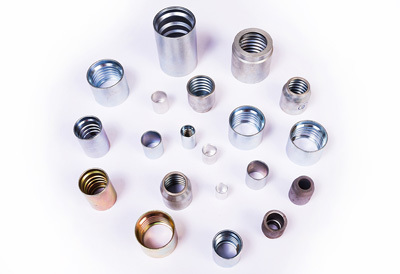 Our Hydraulic fittings are made from high quality materials and are designed to withstand very high pressures. Delivering quality is our number 1 priority here at TRIA.